And so I thought, that even though my blog may only be aimed at females, some of you may have a husband, brother, father or best friend that may be on the lookout for some skincare products, so this post on Vaseline For Men will definitely be of some use to you. The Vaseline MEN range has been designed to meet the specific skin care needs of men, for skin that looks and feels great. 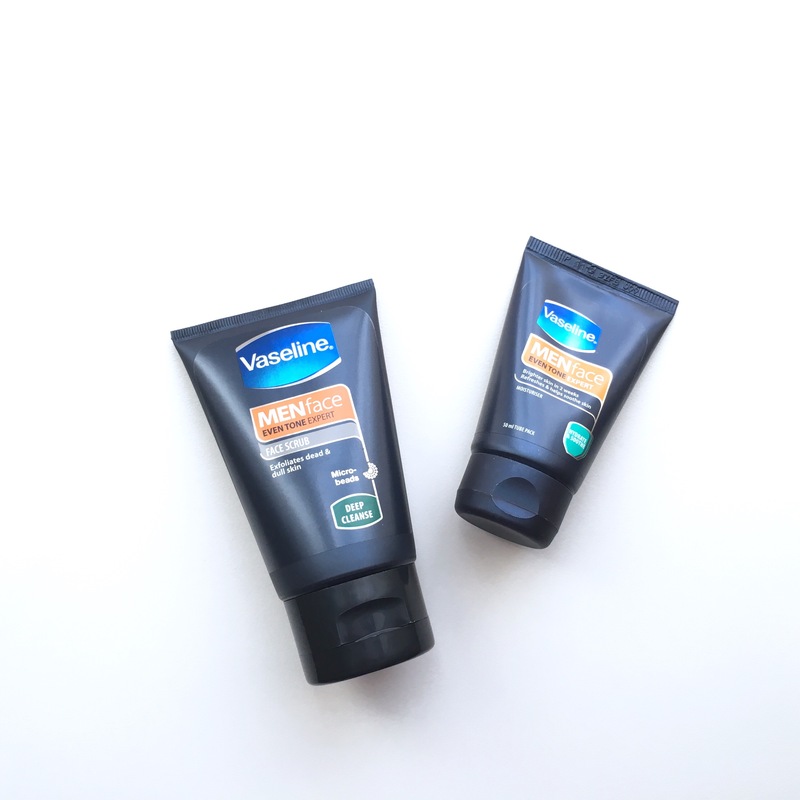 And considering that men’s skin is fundamentally different from women’s skin – it’s much tougher, thicker and more prone to oiliness – Vaseline’s MENface range has been specifically developed so that stronger, smoother and more even toned skin is now more easily attainable. The Vaseline MENface range has focused on 3 simple steps to get your skin back on track – cleansing, moisturizing and exfoliating. And even though, there maybe some lazy guys out there who think that just cleansing and moisturizing is enough, that really isn’t the case! The Deep Cleanse Face Scrub like most exfoliators, helps to clean away grit, removes dead skin cells and keeps ingrown hairs, blackheads and pimples at bay. So it really is quite wonderful for those with oily skin and it also leaves the skin feeling stronger and smoother. So now can you see why it’s an absolute must-have? Overall, I think that the Vaseline MENface range will be great for any guy looking to take care of his skin. It’s affordable, simple to use and I’m pretty sure it works, although I couldn’t try it out for myself, for obvious reasons. It will even make for a perfect gift set for a guy that really understands just how important a proper skincare routine is!